Mulan/Ping Training Outfit and Armor « Adafruit Industries – Makers, hackers, artists, designers and engineers! 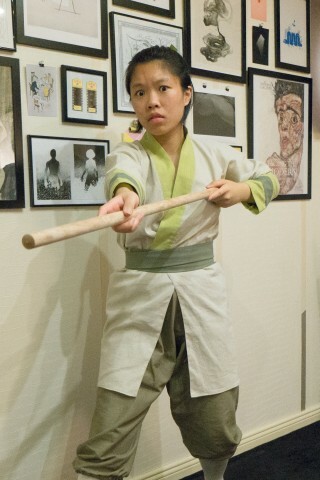 I don’t see costumes from Disney’s Mulan frequently enough, but Karlie Wu, also known as wetcelery on The Replica Prop Forums, focused on one of Mulan’s outfits for her second costume. She decided to make Mulan/Ping’s training outfit and military armor in less than a month. She set out with a goal of making everything from scratch and trying to make it as screen accurate as possible rather than opting to be historically accurate. Building the costume was an opportunity for her to make armor from EVA foam for the first time. She documented the process at The RPF and broke down her work day-by-day — it’s really interesting to see how much progress it’s possible to make in a day. She started with the pauldrons and learned she could shape the foam by using her oven rather than a heat gun. 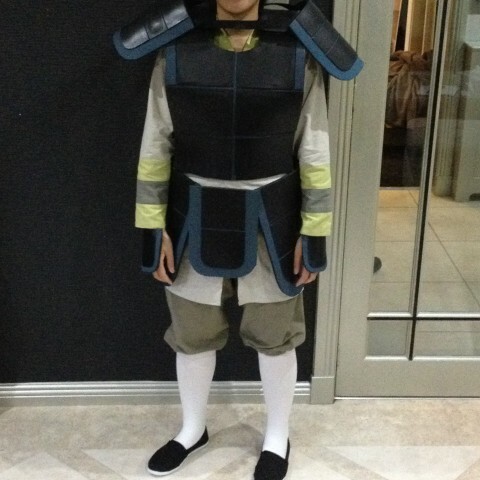 The first eight days were spent on armor, and then Wu dived into making the training outfit. She used a patternless guide for the tunic and an online tutorial for the trousers. Sewing the training outfit took seven days. See pictures of the build at The RPF — Wu did a wonderful job of documenting everything.